The Foundation gives out annual grants to young artists in addition to other forms of support. By helping young artists shine, Anton’s genius and spirit will continue in those we support. 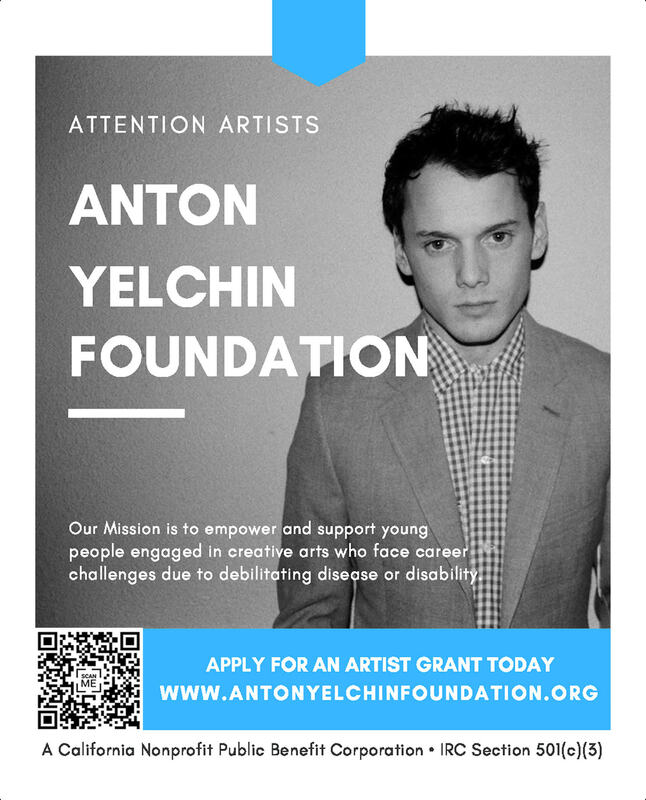 If you would like to honor Anton’s memory by supporting the Anton Yelchin Foundation, please see the website to make a donation. If you are an artist, we encourage you to apply for the Artist Grant. The Foundation’s grant application period is open year-round and you can find more information on their website on how to apply. 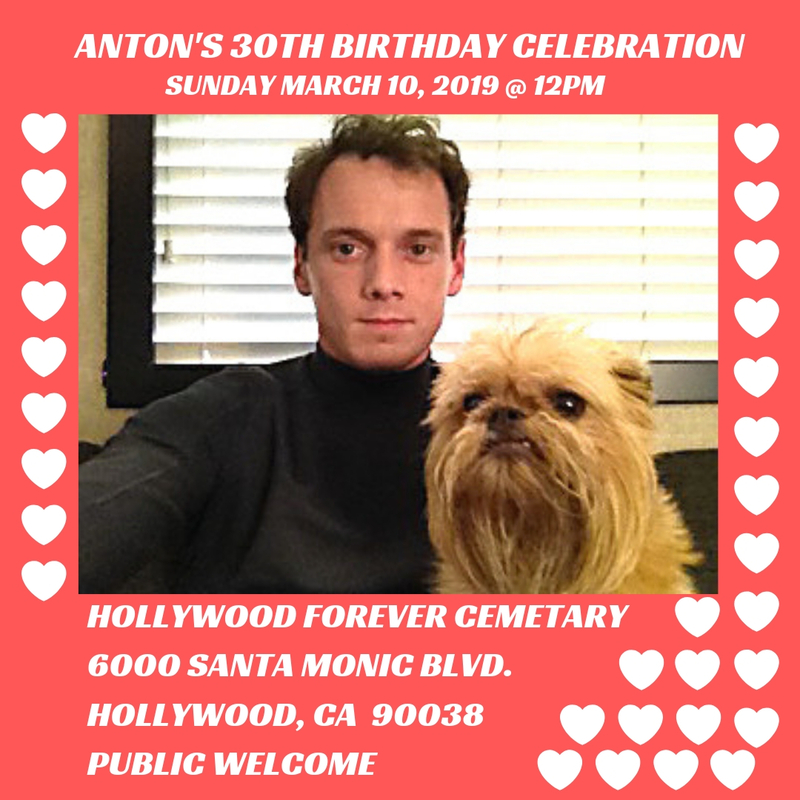 Anton’s birthday is next month, and the Anton Yelchin Foundation has organized a celebration for it. His birthday is on the 11th, but the celebration will be held on the 10th, Sunday, so it will be easier for people to come. All friends and fans are invited, 12pm at the Hollywood Forever Cemetery; there will be refreshments and music. Hope you guys can come and please help spread the word! If you can’t go (like me, sadly), they will stream on both days, Sunday and Monday, through their social media accounts: @antonfoundation on Twitter and @antonyelchinfoundation on Instagram. Love, Antosha has premiered at the Sundance Film Festival, and Anton’s parents stopped by the Deadline studios to talk about the documentary film, along with director Garrett Price and producer Drake Doremus. Anton’s parents dropped by the IndieWire Studio last weekend to discuss the documentary, Love, Antosha. Yelchin’s parents, Irina and Viktor, also spoke at the studio, explaining that “Love, Antosha” is a movie they think he would have enjoyed. “He would love the way the story’s told, how it goes from one thing to another and it flows,” Irina Yelchin said. Before and after his passing in a vehicle-related accident in June 2016, Yelchin was no stranger to Sundance. “Like Crazy,” which co-starred Yelchin, Felicity Jones, and Jennifer Lawrence, won the Grand Jury Prize in 2011. (The film’s director Drake Doremus is also a producer on “Love, Antosha.”) Cory Finley’s “Thoroughbreds,” which featured one of Yelchin’s final roles, premiered at the festival in 2017. “Love, Antosha” features interviews not just with Irina and Viktor, but a number of former Yelchin co-stars, sharing their memories and experiences both on and off the set. “Star Trek” franchise co-stars Chris Pine and John Cho join Kristen Stewart and others, who each speak to Yelchin’s personal and professional history. Besides being an actor, Anton loved photography. Two years ago, the Anton Yelchin: Provocative Beauty exhibit featuring photos from Anton’s six-year photography work was opened in public in two cities, Los Angeles and New York. Now, the Anton Yelchin Foundation is making some of those photos available for print purchasing. All proceeds will go to the foundation, which will further help their cause. For the list and previews of photos available (including print sizes and prices), you can view/download the catalog either via the foundation’s website or via Dropbox. If you’re interested in purchasing a print, contact antonyelchinphotographysales@gmail.com, and include your name, contact information, and which print number you would like to purchase.